Poetry is in the air in my 4th grade classroom! We are reading and writing poems every day for the next few weeks. I always like to start my poetry unit with something that has a low intimidation factor (and does not require rhyming in any way), so we usually begin the poetry unit with shape poems (or concrete poems). In past years, the students used a writing “frame” I provided to write what I called adjective poems. They added adjectives to the poem frame and then transferred the poem to the shape. 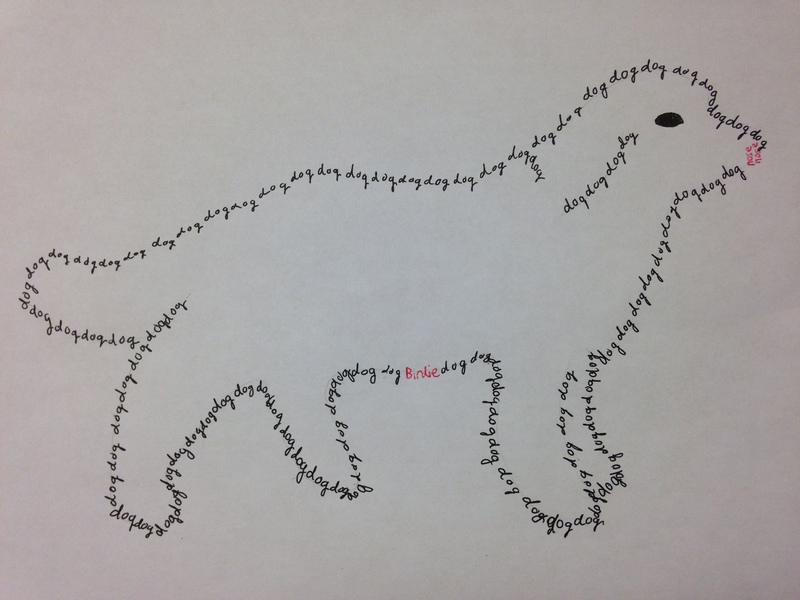 I explain the process for the adjective poems in THIS BLOG POST. This year, students chose a simple object and brainstormed words they associated with their object. Students picked all kinds of items– basketballs, dogs, donuts, soda bottles, ice cream sundaes… They made a word bank using a graphic organizer like THIS ONE. Once they had a big list of words, we began a search for an image to match their word. We searched for black and white clipart in Google images. The kids pasted the clipart image into a Word document and enlarged the blackline image to fill an 8 1/2″ x 11″ page. We printed the image and lightly traced the main lines with pencil on a blank piece of copy paper. 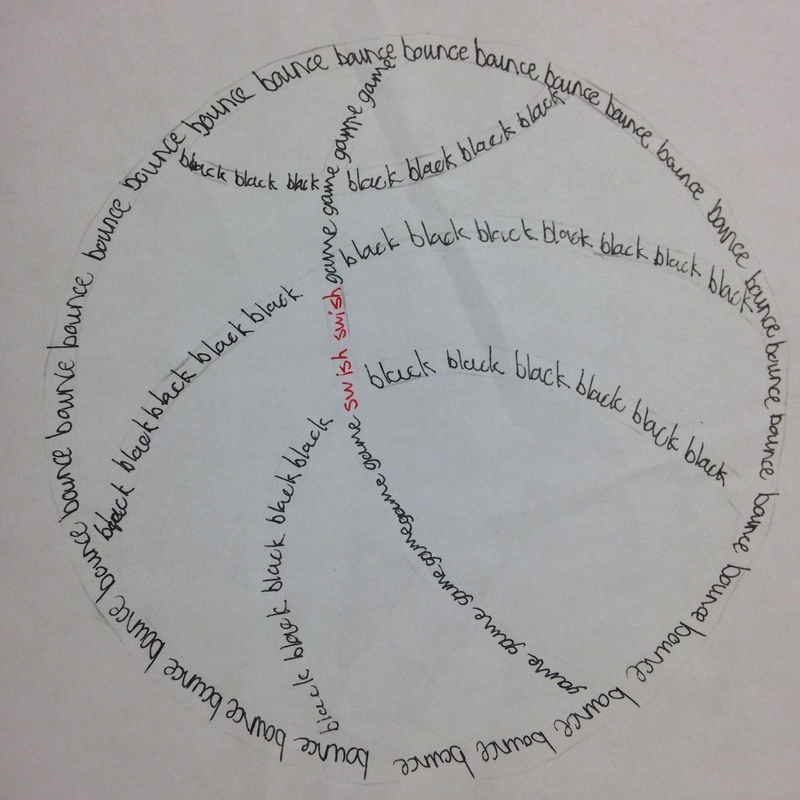 Using black pens, the students used words from their word list to fill in the shape over the traced pencil lines. 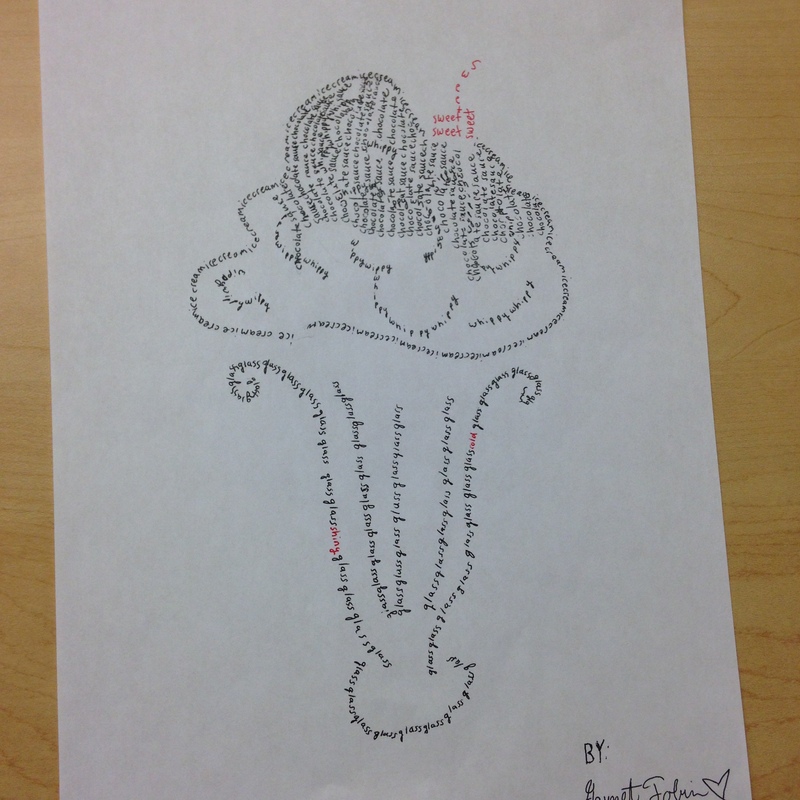 Students left the paper with the clipart image under the paper with the concrete poem while writing to serve as a guideline. 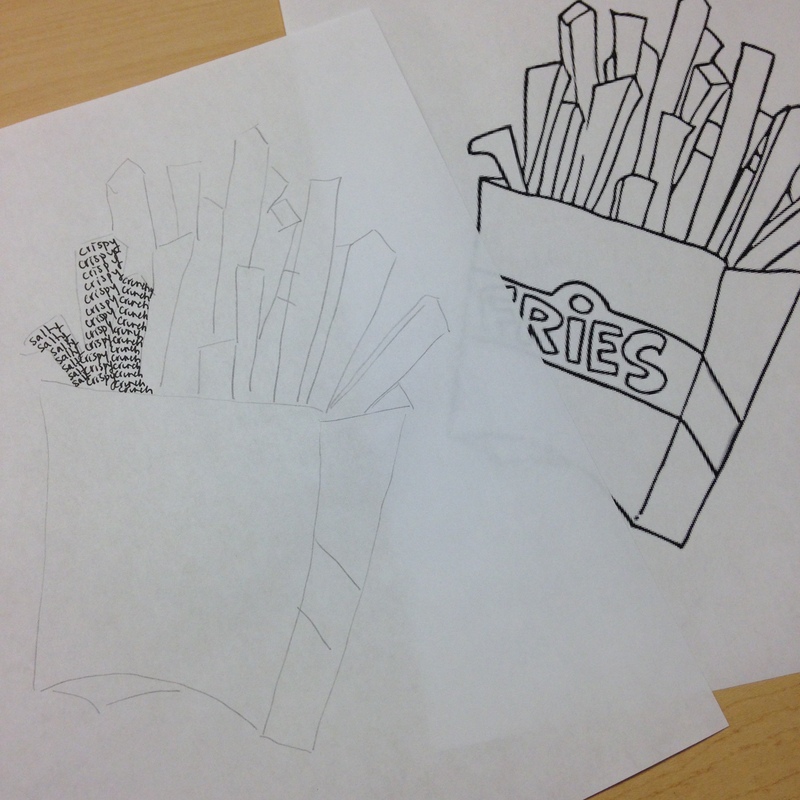 In the example below, the student is starting to create the French fry shape by writing words like “salty”, “crispy”, or “crunch” multiple times in each fry. The student poets would match the area they were filling with a word that made sense for that area of the image. The kids also added a few details to complete the effect such as pink pen instead of black for the dog’s nose. Check out more ideas for student poetry in my TeachersPayTeachers store. CLICK HERE to purchase classroom resources for teaching poetry. My concrete poem remains my constant highest hits post. Probably due to wonderful teachers showing students that art and poetry are perfectly aligned. It is so easy to make them successful. 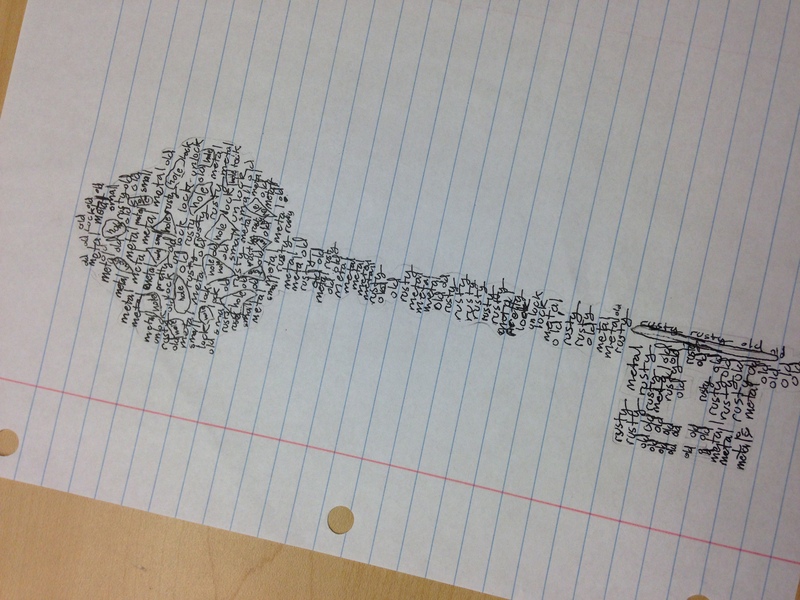 I love that it is art, poetry, vocabulary… all kinds of skills! Wow – these are wonderful! !